A senator has filed Senate Resolution No. 597, urging the appropriate Senate committee to scrutinize the implementation of the unconditional cash transfer under Tax Reform Acceleration and Inclusion (TRAIN), which was enacted into law on December 19, 2017. 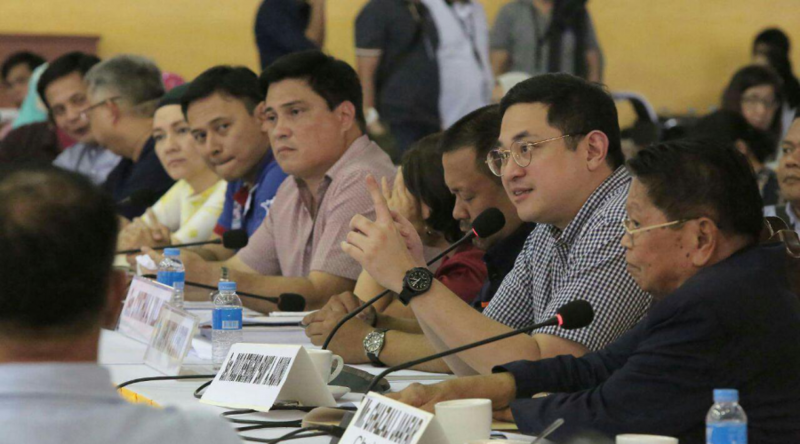 Sen. Bam Aquino wants to ensure that the cash assistance for 10 million poor Filipino families under the TRAIN Law is sufficient to cover the increase in prices of goods and other services. “Siguraduhin natin na makakarating nga ang financial assistance sa mga pamilyang nangangailangan. Bantayan natin ang proseso at suriin natin kung sapat na ang 200 pesos kada buwan,” said Sen. Bam. “The government must prioritize the poor and ensure that its policies benefit them rather than impose even more financial burdens,” Sen. Bam added. Republic Act No. 10963 mandates financial assistance to 10 million poor Filipinos to counter the expected increase in prices of goods. In 2018, they will receive P200 monthly followed by a P300 monthly cash subsidy in 2019 and 2010. However, the government said it cannot implement the cash transfer program at the same time as the tax reform and expected price increases due to lack of proper infrastructure. The government intends to use the Department of Social Welfare and Development’s (DSWD) system for the Pantawid Pamilya Pilipino Program (4Ps) to distribute funds to the existing 1.8 million beneficiaries with cash cards by January 31, 2018. But the remaining 2.6 million recipients without cards would have to wait. Sen. Bam also said that the cash transfer for the additional 5.6 million households is still in limbo with no actual date of release set. “The failure of the government to implement an effective financial assistance program in time for the projected price increases will burden Filipino families,” stressed Sen. Bam. “Without a cash transfer program in place, poor Filipinos will bear the brunt of the increase in prices of goods and services due to the fuel taxes and sweetened beverage tax. Without the necessary safeguards for the poor, I cannot support this measure,” Sen. Bam emphasized. 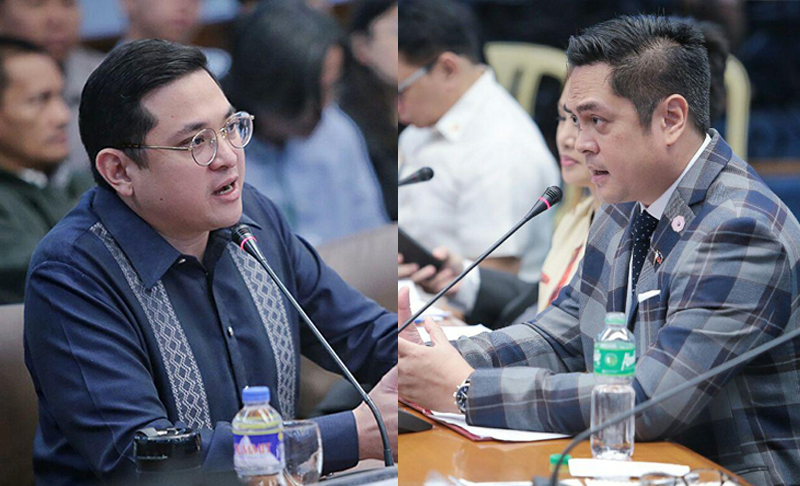 Presidential Communications Operations Office (PCOO) Secretary Martin Andanar assured Sen. Bam Aquino that he will reach out to online groups supporting President Duterte and convince them to stop spreading misinformation and hate speech on social media. “Would you be willing to talk to owners of these websites, a number of them carrying President Duterte’s name, and convince them to stop spreading misinformation, disinformation and hate speech against critics of the President,” Sen. Bam told Andanar during the Senate hearing on fake news. While Andanar said that pro-Duterte websites and Facebook pages were established during the 2016 campaign when he was still a member of the mainstream media, the PCOO chief has committed that he will reach out to the members of the original core groups behind the websites and persuade them to stop spreading fake news and hate messages. Sen. Bam also urged the PCOO chief to police his own ranks, saying blogs written by some of his employees in their private capacity hurt the image of the agency. “Sana siguruhin niyo na ang miyembro ng inyong opisina, hindi gumagawa ng misinformation, disinformation and hate speech,” Sen. Bam told Andanar. In addition, Sen. Bam called on both supporters and detractors of President Duterte to stop throwing hate speech at each on social media, saying the environment has become horrendous. “Iyong batikos walang namang problema, iyong kritisismo wala ring problema, pero kapag humahantong na sa peke, sa panloloko o sa mararahas na pananalita, sana magkaisa tayo na itigil na ito,” Sen. Bam stressed. During the first hearing on fake news on October 4, 2017, Sen. Bam shared a list of websites that produce fake and misleading news stories, a number of which used the name of the president. 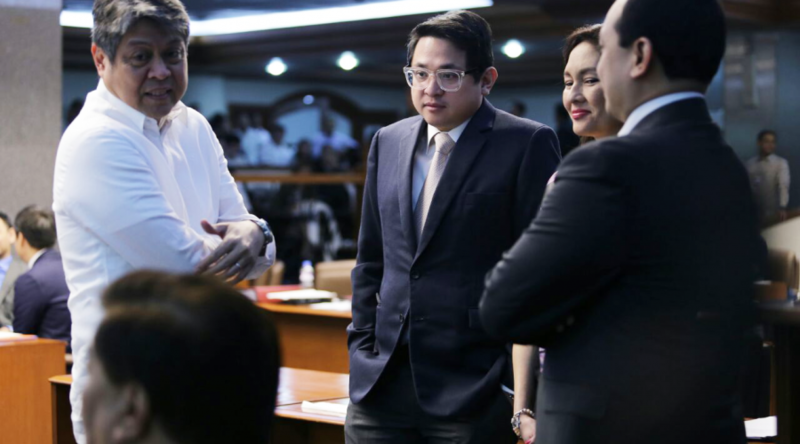 Senator Bam Aquino is convinced that the Bangsamoro Basic Law (BBL) will hurdle the Senate by March, saying this would help quell violence and terrorism in Mindanao and give the Bangsamoro people a chance to have a peaceful and abundant life. “Uunahin na natin ang pagpasa sa BBL. We need this law in order to address urgent and pressing issues in the Bangsamoro region. A number of senators have agreed to pass this by March, even ahead of any Cha-cha,” Sen. Bam said, adding that the Senate could pass the BBL ahead of the House. “Nagkakasundo rin ang mga lider sa Mindanao na ang pagsasabatas ng BBL ay isang solusyon para maibsan ang karahasan at pag-aaway sa Bangsamoro areas,” added Sen. Bam, one of the six senators who visited war-torn Marawi City recently to hold a consultation and dialogue for the BBL. Aside from Sen. Bam, Senators Cynthia Villar, JV Ejercito, Migz Zubiri, Sonny Angara and Risa Hontiveros joined the consultation. They also visited ground zero, the main part of the city that was destroyed by firefights and bombings. Sen. Bam pointed out that the Senate, from the majority to the minority, agrees that the BBL is needed to help stop violence and boost development in the region through autonomy. “Huwag nating ipantapat ang karahasan sa terorismo. Kapayapaan at kasaganaan ang ating ipantatapat dito sa pamamagitan ng BBL,” said Sen. Bam, referring to the Marawi siege orchestrated by members of the Maute group in May of last year. Sen. Bam has filed Senate Bill No. 1661 that pushes for the passage of the BBL. Before drafting the said measure, Sen. Bam has consulted several stakeholders, including the Bangsamoro Transition Commission (BBL), to conform to the present needs in the region. Senators Bam Aquino, Risa Hontiveros, and Kiko Pangilinan on Monday condemned the filing of charges and the 90-day suspension imposed by Malacanang on Overall Deputy Ombudsman Melchor Arthur Carandang, claiming that it could be an attempt to stop him from further revealing the truth. “It is critical that the Office of the Ombudsman remains independent and free from intimidation when investigating elected officials,” said Sen. Bam Aquino. “Hayaan nating gawin ng Deputy Ombudsman ang kanyang trabaho na siyasatin kung mayroon ngang tagong yaman ang mga halal ng gobyerno,” Sen. Aquino added. Sen. Kiko Pangilinan, for his part, said Malacañang’s move could be taken as preventing the truth from coming out. “Lumilitaw na ito’y isang panggigipit lang sa isang opisyal ng pamahalaan na nagnanais lang ng transparency sa mga opisyal ng pamahalaan, lalo na kung dawit ang pinakamataas na pinuno ng gobyerno,” said Sen. Pangilinan. Malacañang put Carandang under a 90-day preventive suspension and “formally charged” him with “grave misconduct” and “grave dishonesty” for the unauthorized disclosures of the alleged bank transactions of President Duterte and his family. 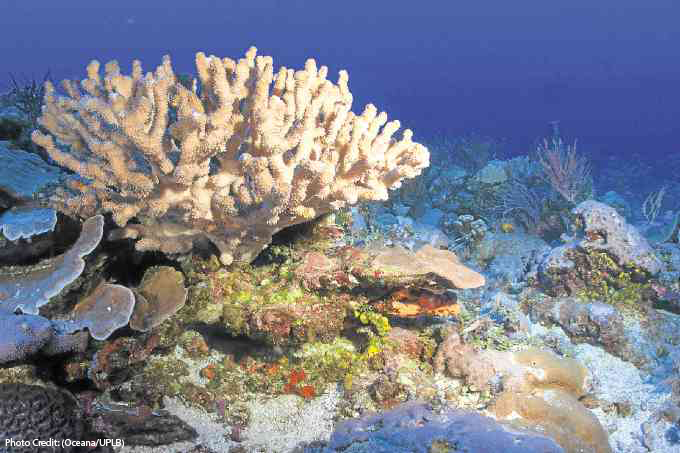 Senator Bam Aquino plans to file a resolution to consult Filipino scientists and allow Department of Science and Technology (DOST) to provide updates on its ongoing research and exploration in Benham Rise, now known as Philippine Rise. Sen. Bam, chairman of the Committee on Science and Technology, said the resolution aims to give DOST and Filipino scientists an avenue to present their research findings and future plans, as well as to inform the Committee of the resources and equipment necessary to explore the area. “We want give our scientists and DOST a venue to make their case to the public and the administration on how they think the maritime research should proceed. Gusto nating marinig sa ating mga researchers ang kahalagahan ng Benham Rise at ang kanilang proposal para rito, ” said Sen. Bam. “Let’s support our local scientists in their exploration missions and provide them with the resources they need. Huwag na natin anyayahan ang China at alam naman nating may pagnanasa sila sa ating likas na yaman,” added Sen. Bam. As part of Philippine territory, Sen. Bam insisted that Filipinos should be the ones to explore Philippine Rise, a 13-million-hectare underwater plateau thought to be rich in minerals and gas. Earlier, Sen. Bam called on the government to tap the country’s best scientists to conduct research and exploration of Benham Rise. 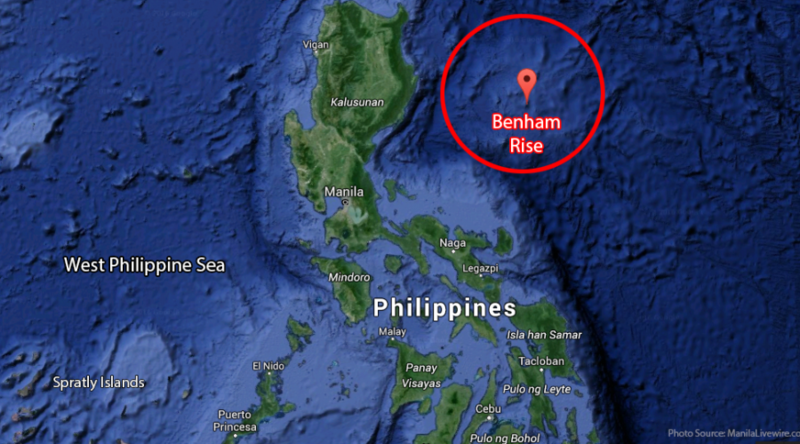 “Huwag nating maliitin ang kakayahan ng mga Pinoy scientist na magsagawa ng pananaliksik sa Benham Rise,” said Sen. Bam. 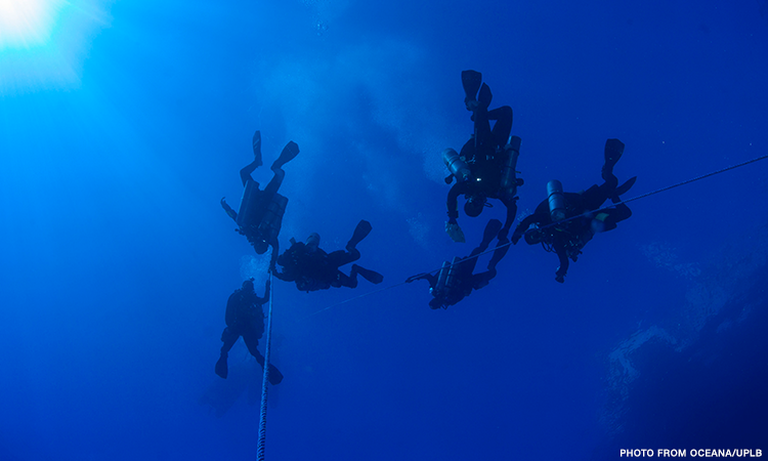 In several interviews, Filipino scientists claimed that they have conducted several research and exploration in Benham Rise. Sen. Bam Aquino said the government should tap the country’s best scientists to conduct research and exploration of Benham Rise, or now known as the Philippine Rise, instead of allowing China to do it. “Huwag nating maliitin ang kakayahan ng mga Pinoy scientist na magsagawa ng pananaliksik sa Benham Rise. Hindi natin kailangan ang China para gawin ito,” said Sen. Bam, chairman of the Senate Committee on Science and Technology. In different interviews, some Filipino scientists claimed that they have already conducted research and exploration initiatives in Benham Rise, contrary to Malacanang’s declaration that only China can do it. “Kung hindi nagkakamali, ginagawa na iyan for the past so many years. Kaya malaking pagkakamali na sabihing sa China lang tayo puwedeng sumandal para sa isyung ito,” added Sen. Bam. Instead of tapping China, Sen. Bam said it is best for government to support initiatives of Filipino scientists to explore Benham Rise. “It is part of our territory, so it is best if we will be ones who will explore it,” said Sen. Bam. Also, Sen. Bam called on the government to be transparent in its dealings with China regarding the exploration of Benham Rise. “There should be no secret deals with China,” said Sen. Bam, who is pushing for the passage of several measures pushing for welfare of Filipino scientists, researchers and startups as chairman of the Committee on Science and Technology. Among the committee’s priority measures are the Innovative Startup Act, Magna Carta for Scientists Act and the Balik Scientist Bill, all of which are principally sponsored by Sen. Bam. Stressing that a serious investigation on the government’s dealings with China is long overdue, Sen. Bam Aquino renewed his call for a Senate probe into the direction of the country’s foreign policy. On September 19, 2016, Sen. Bam filed Resolution No. 158 seeking to clarify the country’s foreign policy direction to determine the administration’s position on several issues, including the West Philippine Sea, Benham Rise and other dealings with China. “Importanteng malaman ng Senado at ng taumbayan ang foreign policy ng administrasyon, lalo na sa pakikitungo nito sa China. This is a serious issue and the Philippines has too much to lose,” said Sen. Bam, saying the probe will center on the details of deals entered into by the government with China, especially on the conduct of maritime scientific research in the Benham Rise or now known as Philippine Rise. “Kailangang suriin ang laman ng kasunduang pinasok ng pamahalaan sa China. Hindi pupuwedeng dehado rito ang Pilipino,” said Sen. Bam. “If these deals will truly benefit the Filipino people, there shouldn’t be anything to hide,” added Sen. Bam. Earlier, the Department of Foreign Affairs (DFA) announced that it has approved China’s request that it be allowed to conduct maritime scientific research in the Benham Rise, with the blessing of President Duterte. Sen. Bam also called on the government to assert the country’s victory in the Permanent Court of Arbitration (PCA) in the West Philippine Sea issue, saying it will go down the drain if not implemented. Senator Bam Aquino urges the Department of Education to strengthen academic-industry linkages and make sure K-to-12 graduates are ready to enter the workforce. “Student readiness to enter the workforce is a serious issue that is better addressed by developing strong relationships between schools and companies, what we call academic-industry linkages,” said Sen. Bam. “Huwag natin balewalain ang kinabukasan ng mga K-to-12 graduates. Mahalagang makonsulta ang employers at mga kinatawan ng industriya upang matiyak na handa nang magtrabaho ang K-to-12 graduates,” Sen. Bam added. 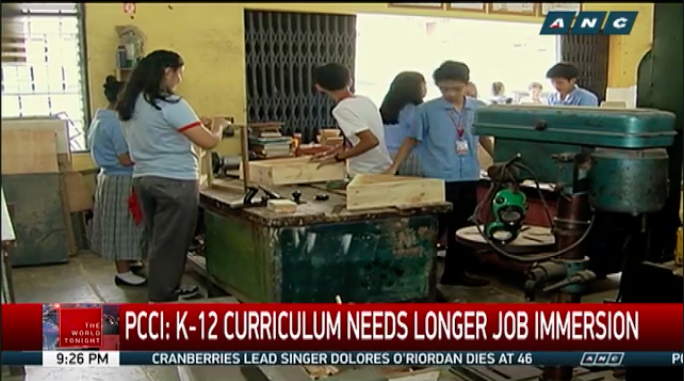 Sen. Bam issued the reaction after Philippine Chamber of Commerce and Industry (PCCI) expressed concern over the lack of minimum on-the-job training requirements among the first batch of K-to-12 students. The PCCI said the first batch of K-to-12 students only have 80 hours or two weeks of OJT experience, making them unqualified for available jobs. “The Department of Education and the Commission on Higher Education should have dynamic curriculum that can address concerns of current and future employers,” said Sen. Bam. As former chairman of the Senate Committee on Education in the 17th Congress, Sen. Bam filed Senate Bill No. 1278 or Trabaho Centers in Schools Act, which seeks to establish job placement offices in public high schools and state universities and colleges (SUCs). Trabaho Centers should address the skills mismatch and ensure employability of students upon graduation by using feedback from employers to better develop the school’s curriculum and training programs. Sen. Bam is also the principal sponsor of the Universal Access to Quality Tertiary Education Act, making college tuition and miscellaneous fees free in public universities, colleges and TESDA-run technical-vocational institutions. 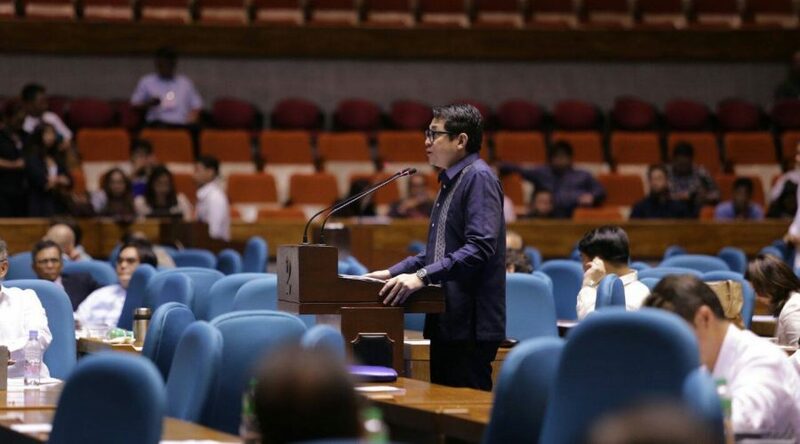 As an independent institution, Sen. Bam Aquino declared that the Senate will not succumb to the pressure from the House of Representatives, which plans to hold a Constituent Assembly as mode to amend the 1987 Constitution even without the Upper Chamber’s participation. “We will not be pressured by the Lower Chamber. The Senate believes that this is a critical reform that must go through the right process,” said Sen. Bam. “Dadaan kami sa naaayon na proseso at panahon na bumabagay sa kahalagahan pagbabago sa Saligang Batas,,” assured Sen. Bam. Earlier, the House approved Resolution No. 9, which seeks to convene Congress into a Constituent Assembly that will introduce changes in the Charter. The House wants to submit a new federal charter for a referendum simultaneously with the scheduled Barangay and Sangguniang Kabataan elections this May. However, Sen. Bam said the Senate will not give in to the House’s timetable, saying a process as important as Charter change should go through the right process. Sen. Bam added that the Senate will make sure that there will be a massive information dissemination to educate the public about Charter change and allow them to participate in discussions, debates and crafting of the necessary amendments to the 1987 Constitution. “Tungkulin namin na ang anumang prosesong pagdadaanan ay para sa taumbayan at hindi lamang para sa mga politiko” Sen. Bam pointed out. In Wednesday’s Senate hearing on proposals to amend the 1987 Constitution, Sen. Bam emphasized the need for trust-building measures, including the passage of an anti-dynasty law, before amending the Charter.